It’s been a very strange week in the world, and I thought we should end it with a little sharing of love. Without making too much reference to what’s been happening, what’s done is done – the best we can all do is to continue being good to each other to set a good example to those around us. 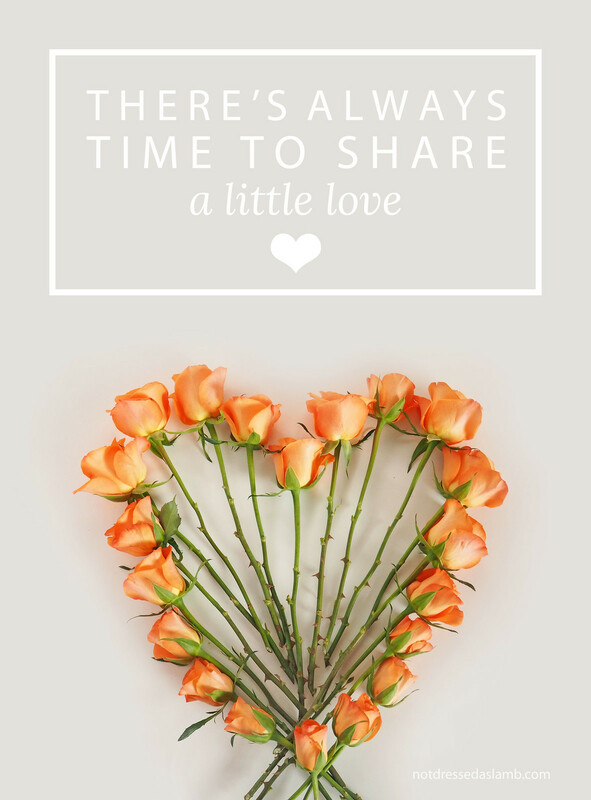 So I thought I’d make this week’s Saturday Share link up a bit special by asking you all to share a bit more love than usual… I figured there’s plenty to go round! Let’s start with a little love right here – link up all your blog and Instagram posts, visit a few links that have linked up as well, and leave some nice comments for others. The link up is a chance for you to reach more people by sharing your current and evergreen posts (hence why you can link up old posts), and find amazing new bloggers and their amazing posts. Of course it also helps me with traffic if you stop buy – did you also know that comments are great because it helps bloggers with their SEO? The more a blog is updated with new content (that includes comments, as mentioned in my pros and cons of blogging daily post), the more visible it’ll be in searches. Comments count towards updated content, so get clicking through and commenting – it’s a great way to share some love! DID YOU KNOW COMMENTS ARE GREAT BECAUSE IT HELPS BLOGGERS WITH THEIR SEO? THE MORE A BLOG IS UPDATED WITH NEW CONTENT (THAT INCLUDES COMMENTS), THE MORE VISIBLE IT’LL BE IN SEARCHES. WHAT’S BEEN THE HIGHLIGHT OF YOUR WEEK THAT YOU WANT TO SHARE (NON-POLITICAL THINGS ONLY)? TELL ME IN THE COMMENTS OR TWEET ME @NOTLAMB! I'm always for spread some love to the world. Thank you for this post. Love, love, love – you said it, Catherine! I love your new profile photo and makes me think I could use some changes too. Thanks for the chance to showcase some of my other posts and helping to keep community alive. Sending LOVE to you, Catherine! Thank you for your great photos for this month's How I Wear My! Awww, LOVE! Gotta spread it, and you do such a good job of that Dear Catherine. I shared some Insta pics cuz Lord knows I'd love to create more community over there. I don't know how you do it. Really. So many avenues to reach people on….Anyway, this post about LOVE is much needed. Tough week for sure. Time for me to move on. I've taken it out in the form of cheetos and french fries–not a good thing to do for a fashion blogger! Hahah! Do adore you though Catherine and all that you do for our blogging community! Indeed, it's been a tumultuous week, and I for one welcome all acts of kindness, gratitude, love, empathy just about now so thank you, Catherine. Kew Gardens looks amazing and I love the idea of hygge – it's a great way to spend time! Thanks for hosting! Yes let's!!!! Thanks Lisa – I'm seriously considering that necklace, it's soooo purty!